Oatmeal, lavender, Epsom salts, and coconut oil. 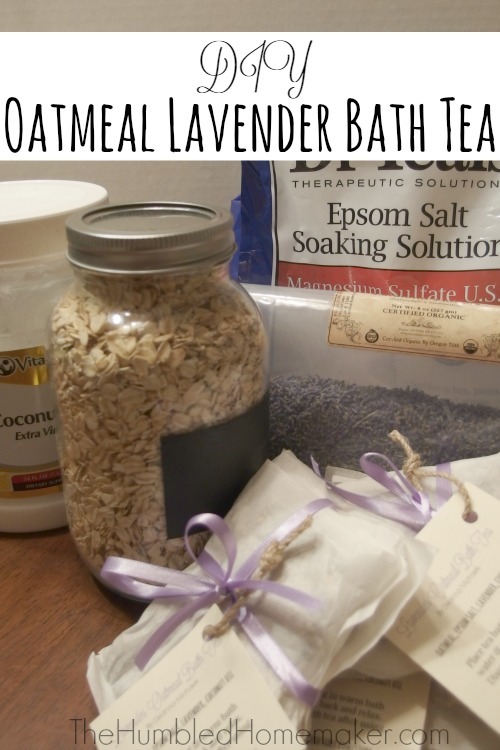 Yesterday I guest posted at The Humbled Homemaker on how to make an amazing DIY Oatmeal Lavender Bath Tea using those ingredients. Being a mom is exhausting (even if your kids are perfect angels). Let’s be honest, life is exhausting kids or not. Trying to balance being the best mom and wife we can while living on a limited budget of money and time isn’t easy. . . 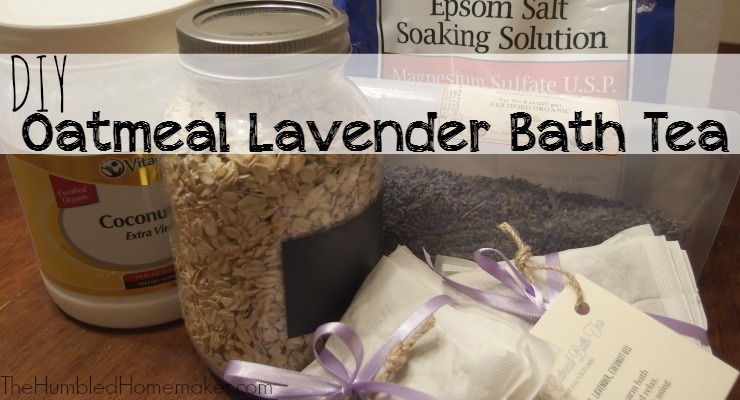 Check out the whole post and how to put this bath tea together over at The Humbled Homemaker! 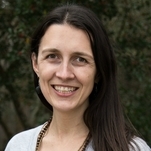 This entry was posted in Home on February 4, 2015 by Deanna Michaels. What a fun idea! Thanks for sharing at Simple Lives Thursday; hope to see you again this week. Yeah, I never was a bath person until I was pregnant with baby number 2. I don’t do it often but every once in a while I still enjoy them after a long day. 🙂 Thanks for hosting.